In October 2015, the Paediatric ICU (PICU) at the Red Cross War Memorial Children’s Hospital embarked upon a R100 million-plus expansion and upgrade. The building will cost R75million and ICU equipment a further R25million. Faced with a chronic shortage of paediatric Intensive Care Unit (ICU) beds in Africa, the project will improve intensive care services for critically ill and injured children. The 22-bed PICU is the largest ICU for children in Africa, but simply cannot meet current demands. 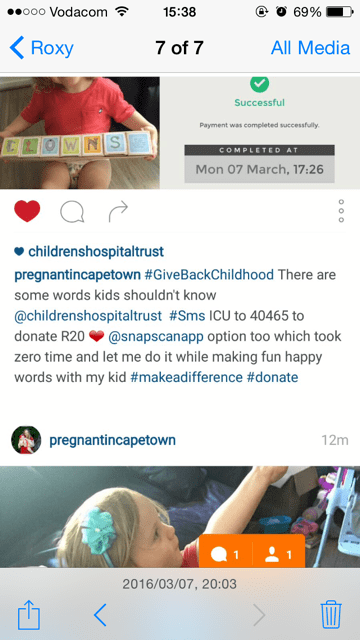 With the majority of funding already secured for the building upgrade, the Children’s Hospital Trust – the official fundraisers for the Red Cross Children’s Hospital – are calling on the public to help raise the final R10 million for the building between March and June. 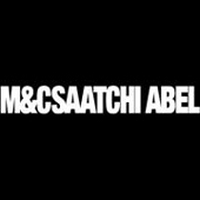 The Hospital turned to advertising agency M&C Saatchi Abel to drive awareness and donations around the life-saving initiative. 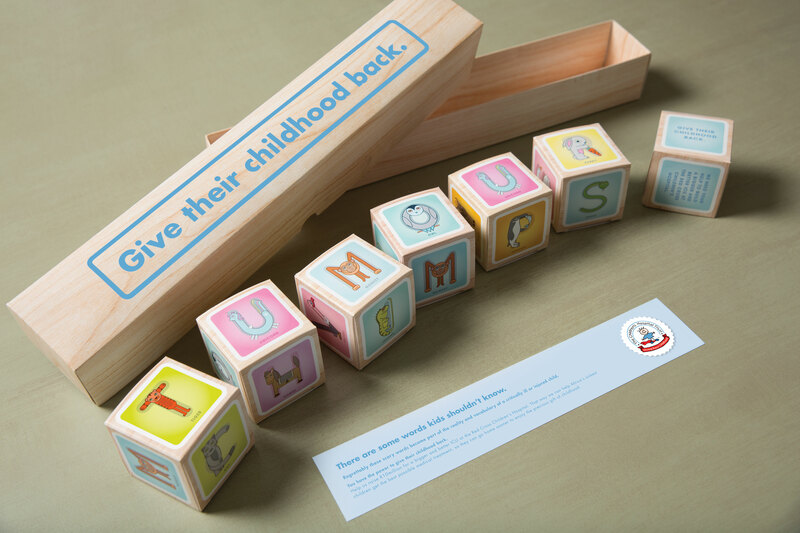 The agency’s creative team developed a powerful campaign centred on the key insight that young children confined to Paediatric ICU essentially misss a part of their childhood. By driving donations towards building a bigger and better Paediatric ICU, more children can thus receive their treatment sooner and get back to simply being a kid again. 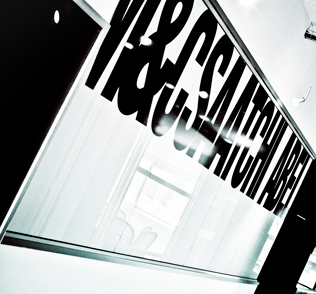 The campaign has four key elements: an Influencer Drop and social media campaign, TVC, radio and print. “Young kids are taught the basics of language with learning tools such as alphabet blocks. 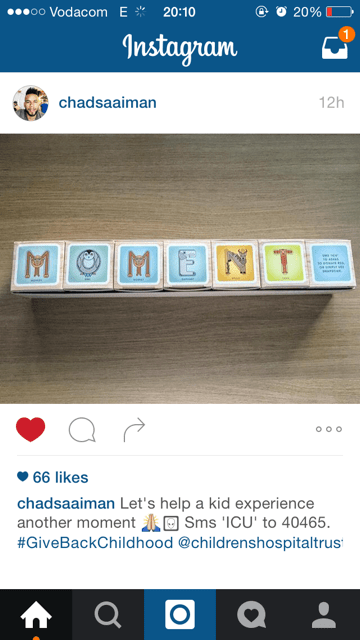 The agency delivered boxes of alphabet blocks to influencers with the word ‘tumour’ already spelled out. This was a great, tangible way to contrast the innocence of childhood with the horror of disease. 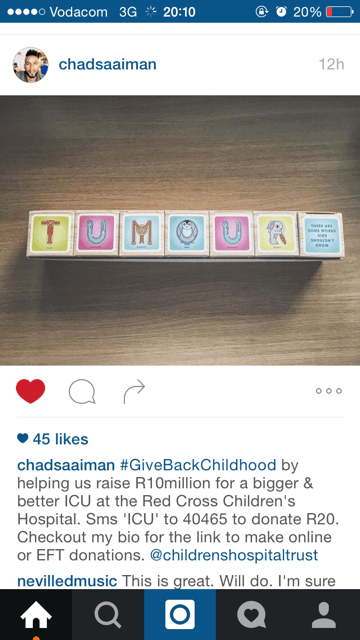 The Red Cross Children’s hospital then invited influencers to change the word ‘tumour’ to something more positive and re-tweet a pic of the new word to followers using the hashtag #GiveBackChildhood.” explains Leon Kotze, copywriter. 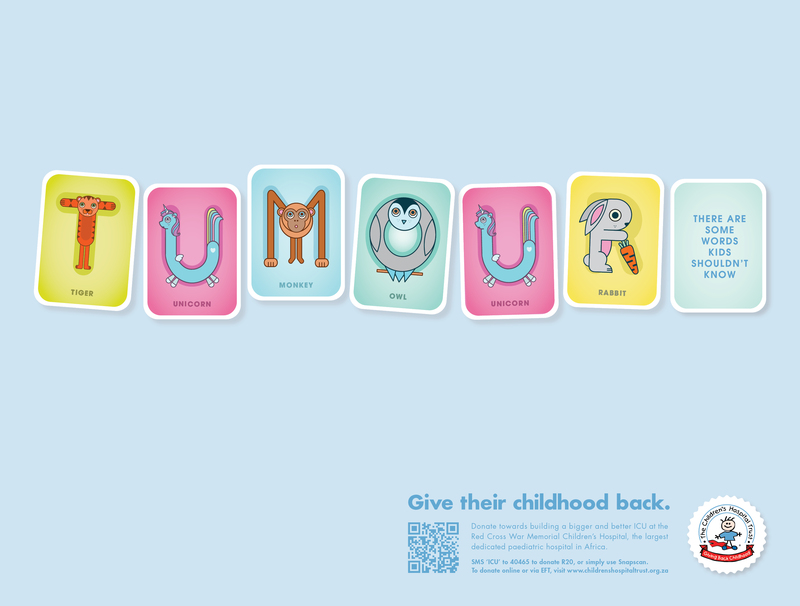 In the carefully crafted TVC, the Red Cross War Memorial Children’s Hospital asked healthy children whether they knew what a tumour was?. Predictably, none of them did. Cadi de Jager, a former patient at the hospital, gives the correct answer with ease. This contrast again reinforces the campaign message by proving the sad truth that sick kids need to get back home as quickly as possible. “The campaign is undoubtedly reaching South Africans – with the Red Cross War Memorial Children’s Hospital announcing in April that the R2.5 million funding target for the period had already been surpassed,” says Jerry Mpufane, MD of M&C Saatchi Abel Gauteng.